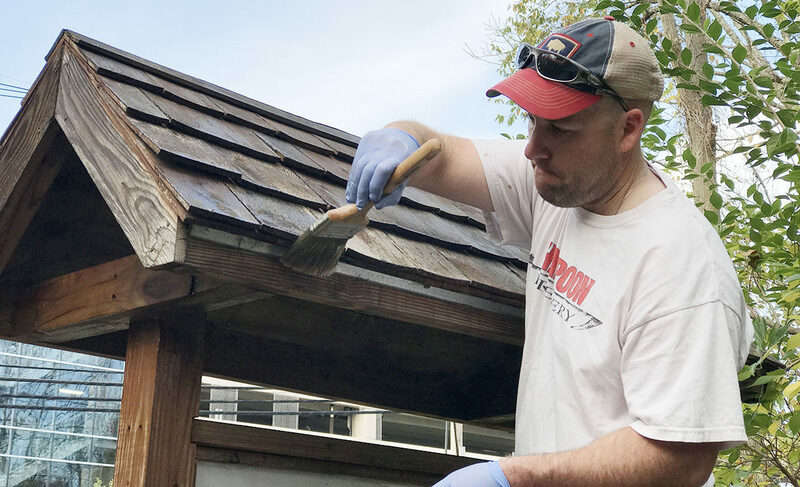 The President of The Friends of Mary Cummings Park was recently spotted painting the roofs of all the kiosks with preservative, in preparation for another New England winter. This is typical for our Steve: he doesn’t make a fuss, he just quietly goes out and does what needs doing. And he has been a steady hand as our President, through some difficult times. All 7 kiosks were built by and paid for by The Friends, and are stocked with fresh maps on a regular basis, so your contributions are much appreciated. Your support pays for more maps and even for the preservative that Steve uses on the roof shingles. Here is where you can donate right on line, quick and easy.